JANE VS THE REMOTES from tom stables on Vimeo. The way most people watch television now could be compared to the gate to my house; it isn't broken, you just have to have the knack to open it. Using remote controls to watch television, there's a knack to it. That knack often involves pressing multiple buttons across multiple remotes just to turn on and start watching. It uses a language that does not refer to, or transfer to other systems in everyday life, making it difficult to work out. It makes even less sense if you are elderly. 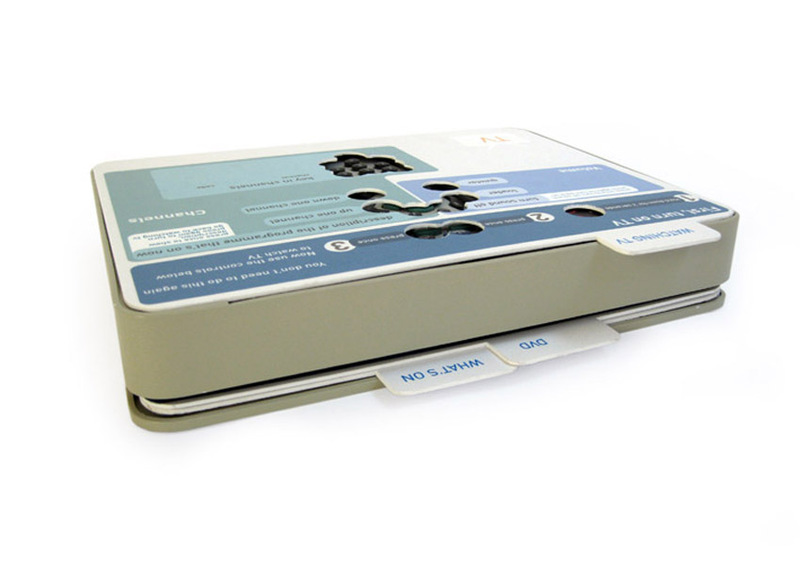 By placing the remotes in a casing with custom overlays they can work as a complete system. 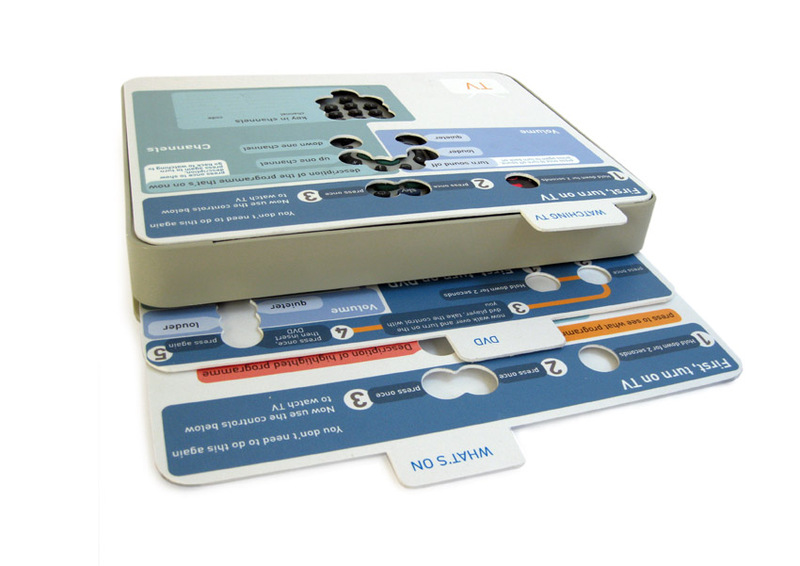 It allows more information to be delivered and isolates only the buttons needed. It is then possible to group buttons graphically, highlighting all the buttons that relate to channels for instance. You can map out sequences, like in which order buttons have to be pressed to turn on the television and also how long each of these buttons has to be pressed down for. The product would be bought from a web service by a relative of the user. 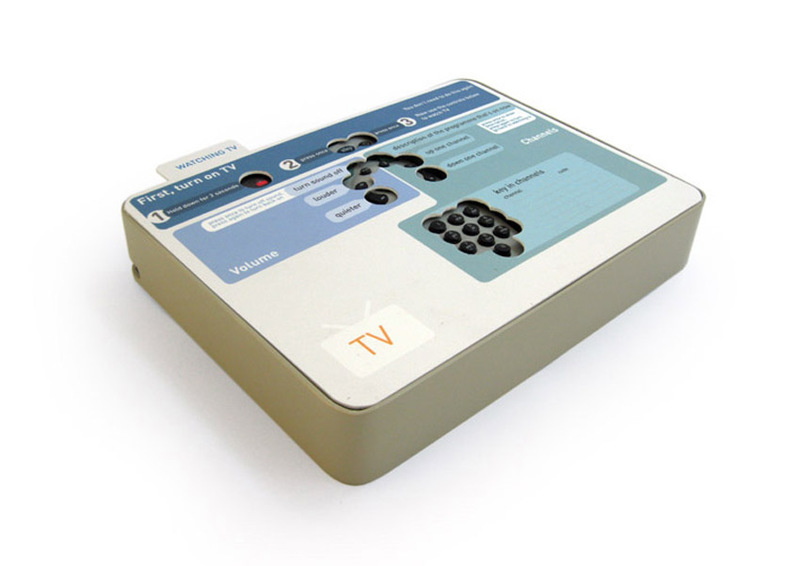 They would pick out the remotes that the user has and also the functions required. You could just have one overlay that simply explained how to turn the television on and go straight to the user’s favourite channel. 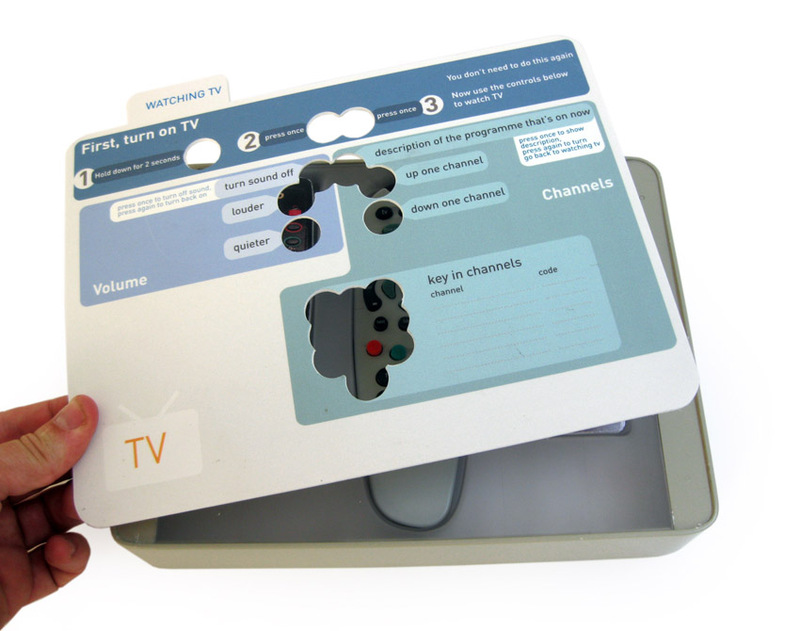 Or it could explain as complex tasks as using the on screen TV guide to plan what to watch. This is possible due to the fact that although there are many different types of remote controls, they all follow a set few protocols.